Hundreds of Manitoba drivers’ licences were suspended in the month of November for using their smartphones while driving. 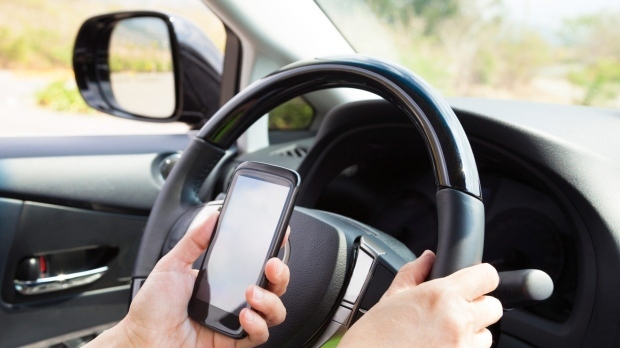 On Nov. 1, Manitoba’s new distracted driving laws came into effect. By the end of November, 237 Manitoba drivers had their driver’s licence suspended for a minimum of three days. In addition to a suspension drivers also face a fine of $672 and five demerits on the Driver Safety Rating Scale. In a report done by Manitoba Public Insurance it shows that over a one month period the Winnipeg police apprehended 149 drivers, while the RCMP reported 67 and the Brandon Police Service 21. All these drivers were charged for using a hand-operated electronic device while driving. Many of those crashes had fatal consequences -- 30 Manitobans died due to distracted driving collisions in 2017. MPI says these high numbers show that Manitobans are still not getting the message regarding the dangers and consequences of distracted driving. "Our officers regularly see distracted drivers cause collisions that result in serious injury and even deaths on roadways throughout the province, these drivers are a clear risk to all Manitobans,” said assistant commissioner Scott Kolody, commanding officer of the Manitoba RCMP and president of the Manitoba Association Chiefs of Police.